The definitive reference manual for the most widely used compiler in the world, written by the program's original author and its current developers. 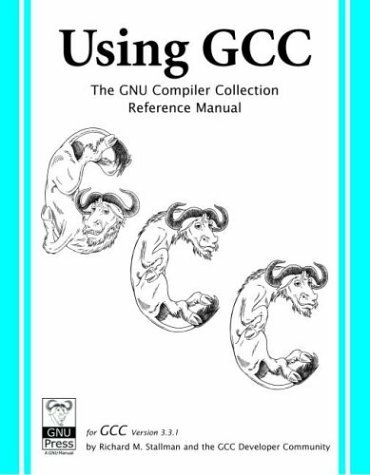 The GNU Compiler Collection is a full-featured ANSI C compiler with support for C, C++, Objective C, Java and Fortran as well as libraries for all these languages, such as libstdc++ and libgcj. 'Using C on the UNIX System' provides a thorough introduction to the UNIX system call libraries. This book is aimed at programmers who already know C, but who want to take full advantage of the UNIX programming environment. The book introduces you to the very basics of programming with C, details most principal concepts and features such as control structures, data types, operators and functions, fully explains pointers, performance, reentrancy, atomicity, threads, etc. This book is guide to UNIX software development in C for professional programmers and students. It focuses on the UNIX system call interface, the programming interface between the UNIX Kernel and applications running in the UNIX environment. A handy guide which covers the principals of good programming style, teaching C and C++ programmers how to write code that can be easily read, understood, and maintained by others. Useful both for students and professional programmers.